People are looking for 'Botox face creams' as more convenient alternatives to Botox® injections. However, products currently being sold in the United States in 2017 as such in truth contain no Botox®. Instead, they are formulated with a skin peptide that is said to work similarly on muscles and can give facial skin a tighter, smoother appearance. Massaged into skin, Argireline® is only capable of superficial penetration compared to the direct injection of Botox® into muscles. Botox® injections are currently the gold standard non-surgical treatment of facial frown lines and wrinkles. Its main benefit compared to Argireline® is that it is more efficacious, although it is more toxic. When injected, Botox® penetrates and has a stronger effect on treated muscles and skin appearance than topical Argireline®. Like synthetic Argireline®, Botox® is a small peptide of amino acids. However, Botox® is a derived from purified Botulinum toxin A. The toxin is produced by the bacteria Clostridium botulinum. Other approved commercial brands of Botulinum injection products include Dysport, Xeomin, and Myobloc. One study was funded by Lipotec and reported in 2002 in the International Journal of Cosmetic Science. 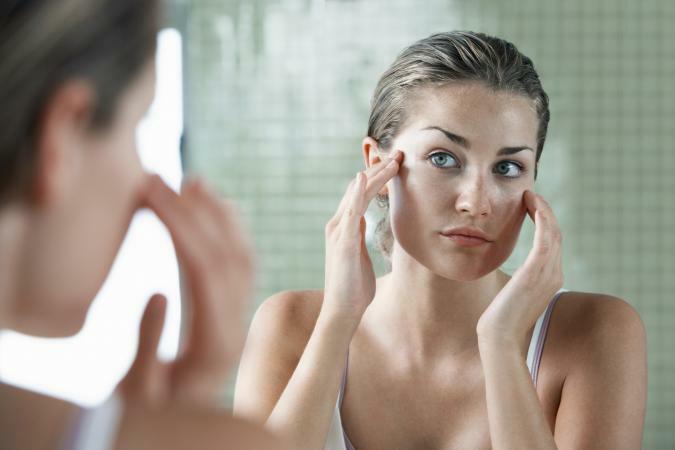 There was a 30 percent reduction of wrinkles around the eyes in ten women who applied an emulsion of ten percent acetyl hexapeptide-3 for 30 days. This compared to ten percent improvement with a placebo. 60 study subjects used Argireline® twice a day four weeks. There was a 48.9 percent decrease in the depth of wrinkles. Argireline® was applied to the skin of aged mice twice daily for six weeks. There were improvements in collagen and skin structure. Although Argireline® does not work as quickly and is not as effective as Botox®, it might be a viable choice for people looking for an alternative to reduce facial lines and wrinkles. The offer a non-invasive, easy-to-use, alternative to Botox® injections and cosmetic surgery procedures. They are likely to have fewer side effects than Botox. 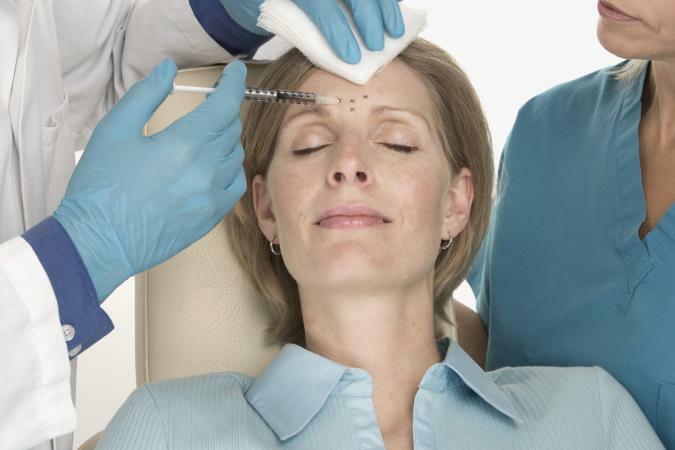 Although the products are not inexpensive, they are a less costly treatment than Botox® injections or cosmetic surgery. In-home application avoids recurring doctor's visits to maintain the effect of Botox® injections. Choose products with ten to 20 percent Argireline®. Have realistic expectations that it is not an instant fix for facial lines or sagging skin. In addition, the results are bound to vary between people because of their different baseline skin problems. Botox® causes a noticeable effect soon after a single treatment, which lasts for three to six months. On the other hand, Argireline® anti-aging products require repeated twice daily applications for up to a month before any real changes might be noticeable. None of these effects have been reported as a problem in the literature but it might be best to discuss this topic with your doctor before you start using a product. Use a face cream or serum only as directed on the label. Syn®-Ake is a smaller peptide than Argireline® and thus might penetrate more easily and more deeply through the skin. Studies are needed to show this and to verify the clinical effectiveness of Syn®-Ake. The benefits and advantages compared to Botox, and the potential risks and concerns, are similar to those of Argireline®. Penetrate skin to reach deeper layers, unlike larger protein molecules such as collagen. Act as signals for some cellular functions such as protein production. Cause an increase production of collagen, elastin, and glucosaminoglycans, skin elements that decrease with aging. Shore up the structural support of aging skin and improve its appearance through the rejuvenation of these skin elements. The peptides are among the newest active skin-renewing, anti-wrinkle agents. The concentration of these peptides varies among the available skin anti-aging products. One known proprietary peptide formula, Matrixyl®3000, combines two peptides, palmitoyl tetrapeptide-7 and palmitoyl oligopeptide. 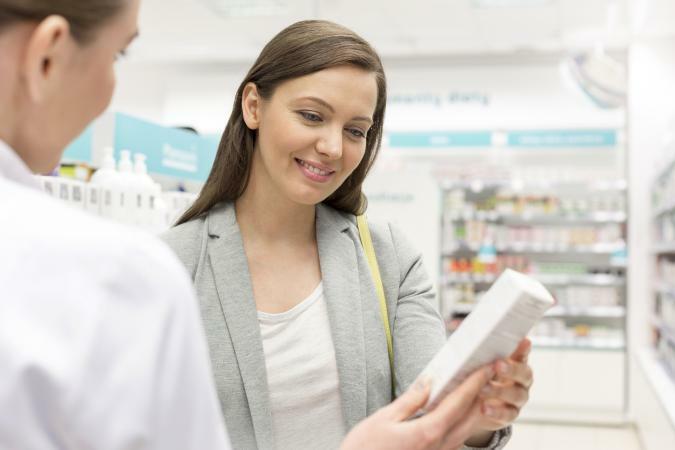 You can find Argireline® and or Syn®-Ake-containing and other peptide creams or serums in drug stores, major retail stores, beauty supply stores and online. Argireline® might be listed as acetyl hexapeptide-3 or acetyl hexapeptide-8. Syn®-Ake might be listed as tripeptide-3 or dipeptide diaminobutyroyl benzylamide diacetate. In the absence of large clinical studies, you are left with getting input from your doctor or skin care specialists, or reviewing other users' experience with a product. 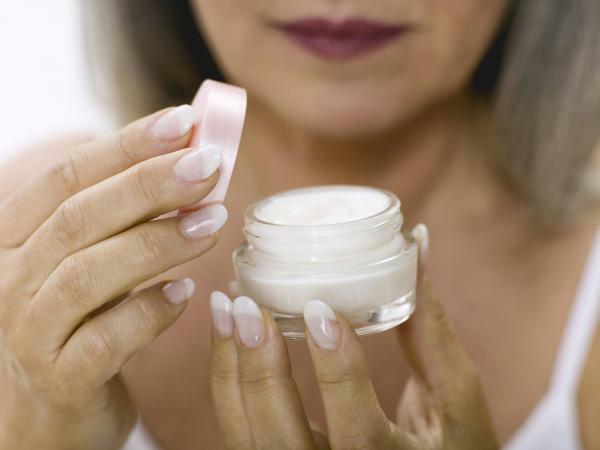 Look for products that have the peptides at the top of the ingredients list. The following are rated highly by consumers. 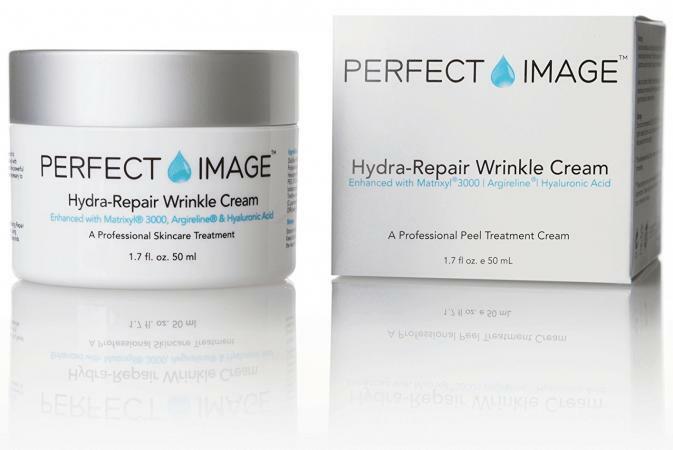 Perfect Image Hydra-Repair Wrinkle Cream contains Argireline® and Matrixyl®3000, as well as aloe vera and skin moisturizers such as cetyl alcohol and glycerin. It is promoted to reduce fine lines and wrinkles, to boost collagen production, and replenish skin. The product retails on the company's website for about $30 for a 1.7-ounce jar. Users give it great reviews for easy absorption and for smoothing, hydrating, and moisturizing skin. Genesea Anti Wrinkle Cream combines Argireline® with retinol and Dead Sea minerals from Israel. It is formulated to diminish fine lines and wrinkles, minimize discolorations, and smooth and hydrate skin. Users give the product excellent reviews for ease of application and for effectiveness in smoothing lines and wrinkles. The cream retails for about $30 for 1.7 ounces on Amazon. 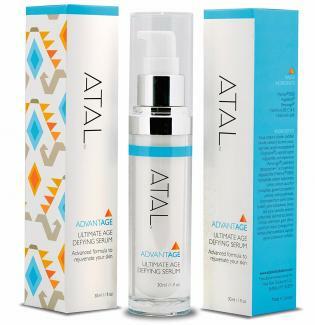 ATAL Ultimate Age Defying Serum, made in Canada, has Argireline® and Matrixyl®3000 peptides, as well as antioxidants and vitamins to give skin an overall improvement in wrinkles and other aging skin challenges. The product costs about $37 for a small pump bottle on the ATAL website. There are fewer reviews on the ATAL site than on Amazon, where you can see 86 percent of users give the serum 4 to 5 out of 5 stars. Advanced Skin Care Skin Rescue Rx contains Syn®-Ake, other peptides, aloe vera, retinol, and vitamins. The serum is marketed to reduce facial expression lines, age spots, and redness - and increase skin elasticity tone and hydration. A one-ounce bottle costs about $21 on Amazon. Customers give the product great marks. ITS SKIN Power10 Formula SYN AKE concentrated serum is made of Syn®-Ake and other peptides. Users' product reviews rate this product 4.4 out of 5 stars for easy absorption, tighter and smoother skin, and reduction in spots and scars. The serum sells for around $17 for a one-ounce bottle at Walmart. Facial lines and wrinkles, the effects of years of expression and skin aging, can be bothersome for many women. An over-the-counter Botox®-like cream is a more convenient and less costly alternative to Botox® injections for these problems. If you have any concerns, based on your health factors, that you can safely use these creams, consult your doctor or a dermatologist.